Submissions have ended for now, but you may still drop me a line using the form below if you'd like. I'd love to hear from you! 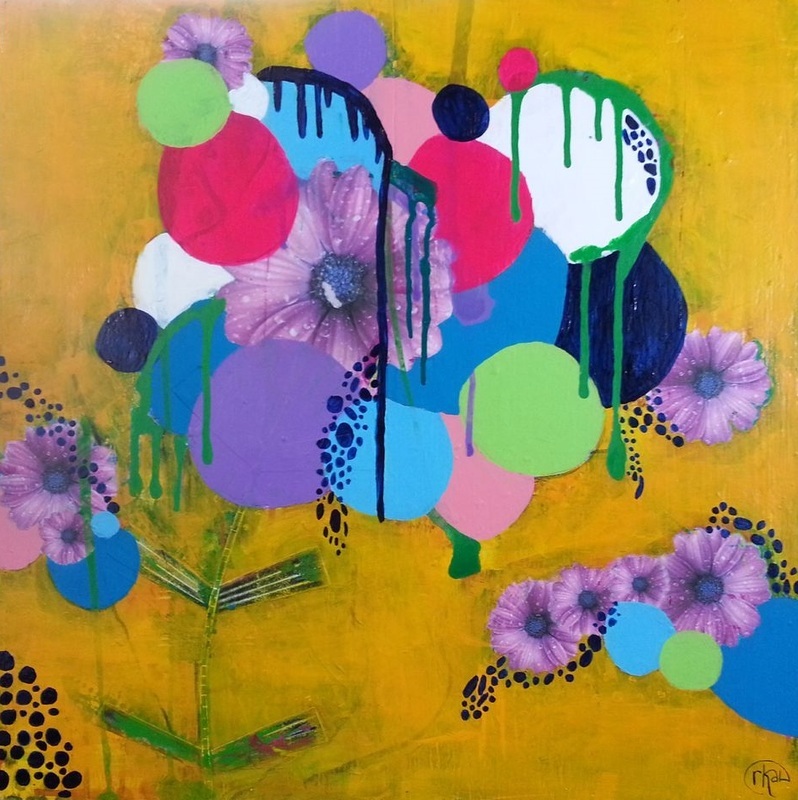 The winner is Carin Cullen and this painting is now officially called geisha in hiding. Congrats, Carin! Keep your eye on the post because I'll be sending off your prize package on Monday. It's already packed and I think you're gonna like it! There were so many terrific entries that it was difficult to choose. We'll do this again soon - thanks for participating. This is where you suggest a title for my painting. It can be a word or a phrase. The wilder, the better. Go crazy with it! Hey, Robin! Here's my suggestion.